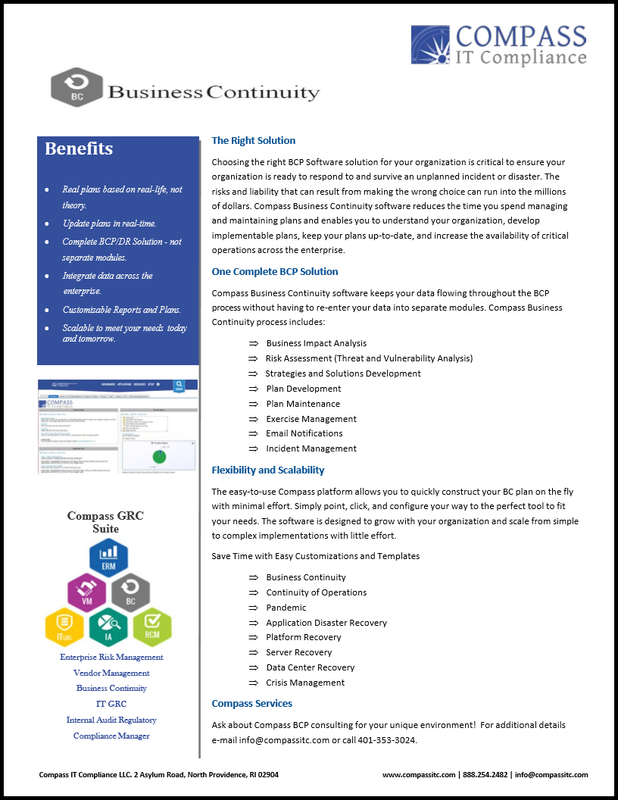 Our Business Continuity Planning Brochure outlines some of the key features and components of our hosted BCP solution. Click on the image to download a copy today! Our Vendor Management Brochure outlines some of the key features and components of our hosted VM solution. Click on the image to download a copy today! 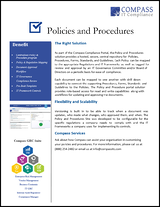 Our Policies and Procedures Brochure outlines some of the key features and components of our hosted PnP solution. Click on the image to download a copy today! 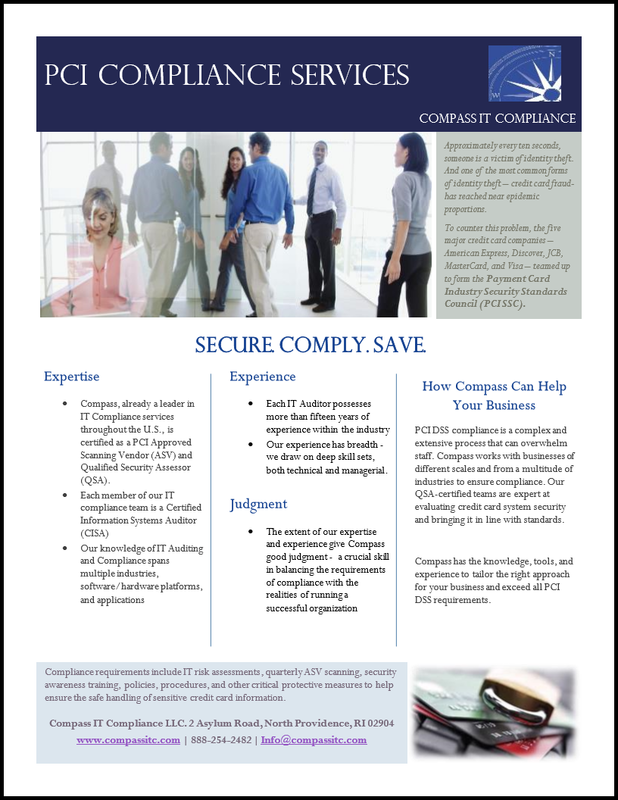 Compass IT Compliance is a Qualified Security Assessor through the PCI Security Standards Council. 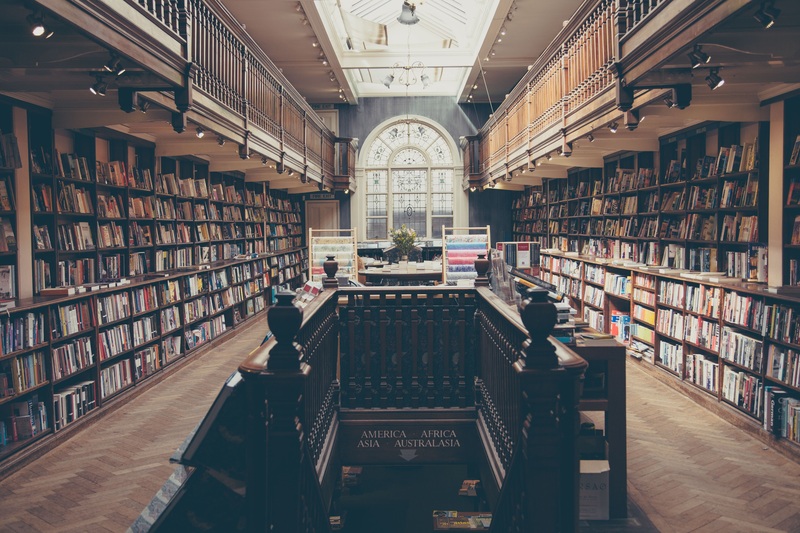 Download our PCI Compliance brochure to learn about the services that we provide to organizations looking to achieve and maintain compliance with the PCI Data Security Standards! Click on the image to download a copy today! 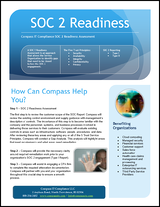 Compass IT Compliance provides a range of services to help organizations through the SOC 2 Reporting process. Download a copy of our brochure today to learn more about these services and how Compass can assist your organization! Click on the image to download a copy today! 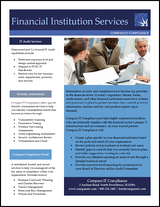 Compass IT Compliance works with Financial Institutions across the country to assist in helping them achieve and maintain compliance with stringent Federal and State Regulations regarding IT Security. Download our Financial Services brochure to learn more about these services and how Compass can assist your organization! Click on the image to download a copy today! Compass IT Compliance works with Covered Entities and Business Associates across the country to assess their IT Systems and mitigate their risk of a data breach. 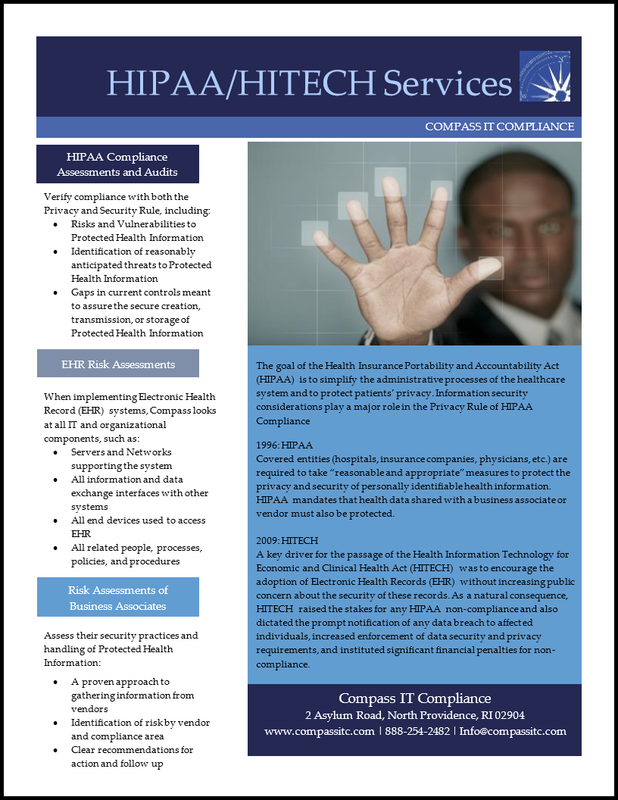 Download our HIPAA / HITECH brochure to learn more about these services and how Compass can assist your organization! Click on the image to download a copy today! 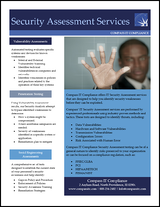 Compass IT Compliance provides a wide range of Security Assessment Services to meet every organizations needs. 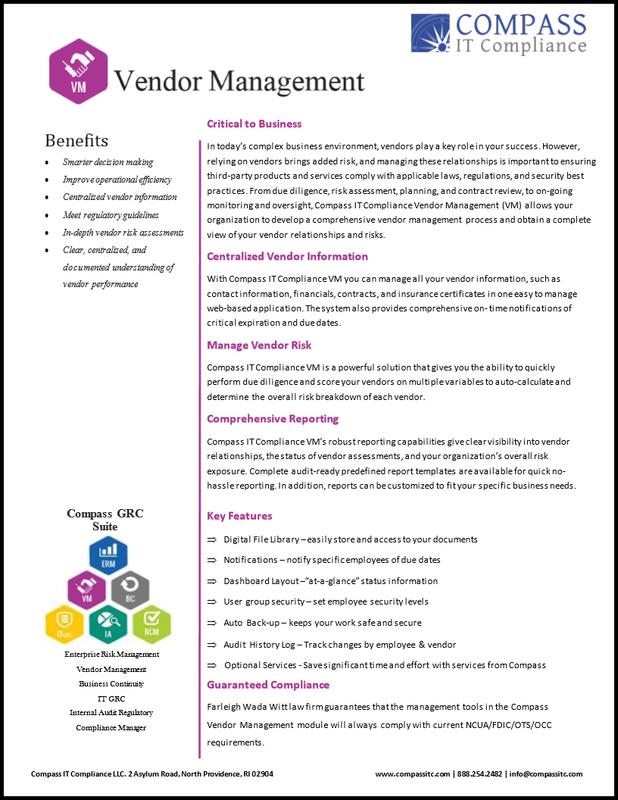 From Vulnerability Scanning to Penetration Testing, click on the image to download our brochure to see how we can help your organization mitigate their risk!